Above is a look at the work being done on Sunday on the northbound 405 near the 101 junction. 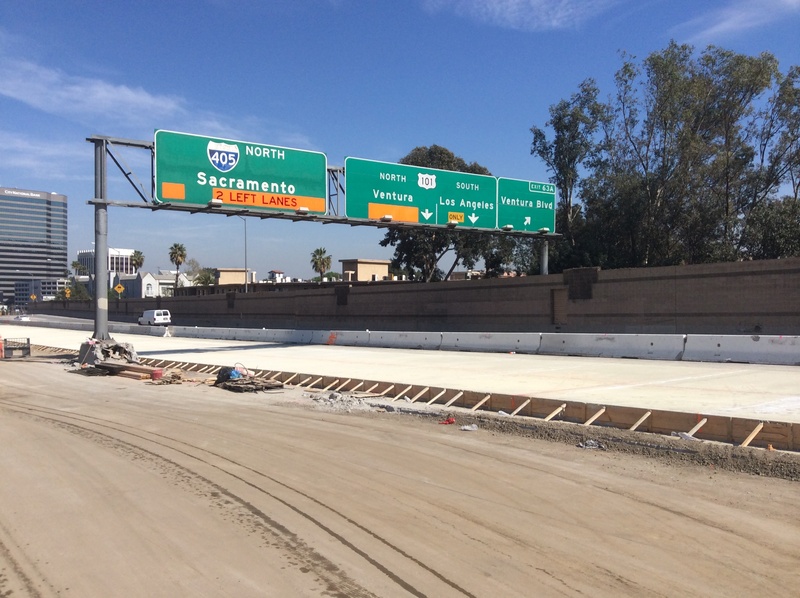 Repaving work remains on schedule and is going well, according to Metro and Caltrans. Two lanes on the northbound side of the freeway over the Sepulveda Pass will remain open until midnight and then a full northbound closure will be in effect until 5 a.m. Monday. Two northbound lanes will then reopen. Another full closure is scheduled for early Tuesday morning. There were delays of about 18 minutes Sunday afternoon and heavy traffic on the 10 freeway at times with folks headed to and from the beach. Metro and Caltrans again asks motorists to avoid the northbound 405 if possible on Monday to avoid creating a big traffic tie-up. When will the new HOV lane on the northbound 405 in the Sepulveda Pass be opened?